I love fashion, I love style, and I don't see why anyone wouldn't or shouldn't! During Ramadan, I love going to Taraweeh prayers. Its so wonderful, and it unites us. 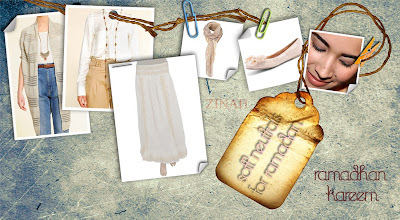 Ramadan is a beautiful month, and so should the clothes for it be :) Here is a look I have put together, for inspiration and motivation of wearing light colours.